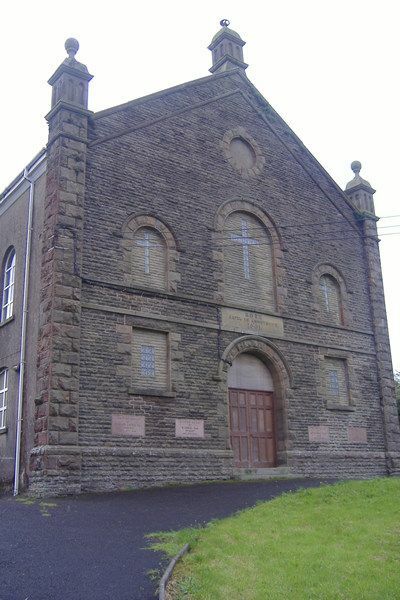 A Baptist chapel first built in 1899, and modified, altered or rebuilt 1911. It is built in a very plain style with modern windows and render, and is a gable entry type. 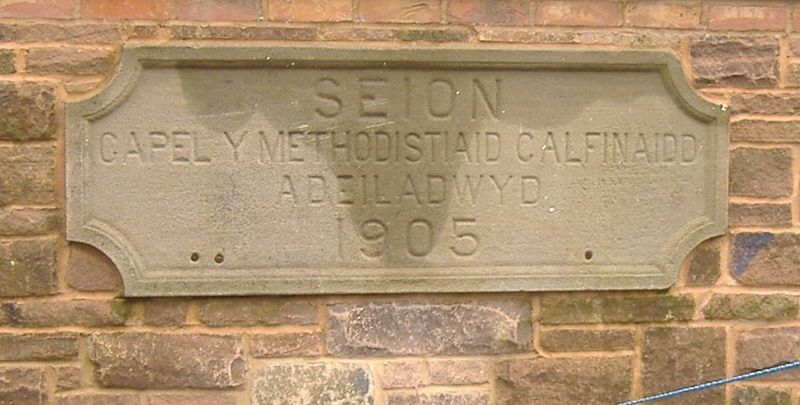 A Calvinistic Methodist chapel first built in 1890, and modified, altered or rebuilt 1905. 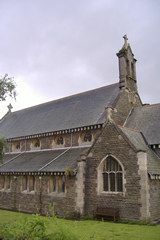 It is built in the Romanesque style, as a gable entry type. Recently demolished. A row of new town houses have been built on the site. The date stone has been embedded into the wall surrounding the houses. 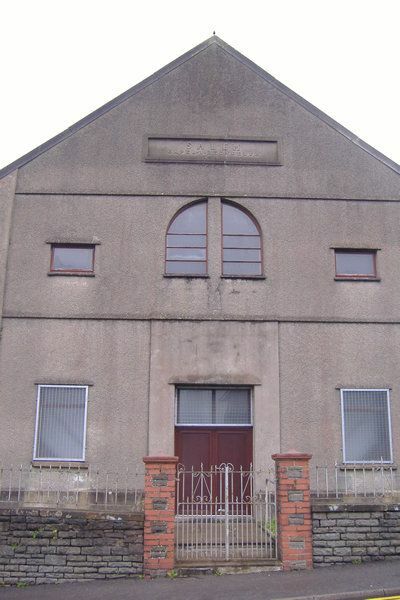 A Congregational chapel first built in 1878, and modified, altered or rebuilt in 1901. It is built in a sub-Classical style, as a gable entry type. The chapel also has a graveyard. A donation to the Parish of Dulais Higher by mine-owner Evan Evans Bevan in 1925, and consecrated by the Archbishop of Wales in 1970. The Recreation Ground, as we know it today, was purchased by the Seven Sisters Miners’ Welfare Society from Evan Evans Bevan in 1927. The land was then converted into a children’s playing field. In 1931 the construction of the swimming pools started and completed in 1935, one for adults and two for children. The bandstand was originally erected in 1935, as part of the development of the whole area. 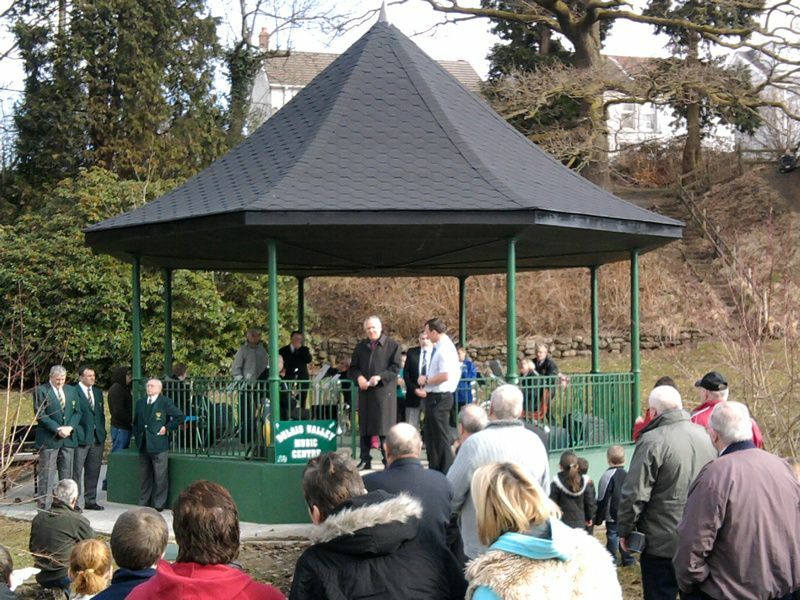 The cost of the Bandstand was met by the Central Welfare Committee due to the long service of the local silver band to the community. 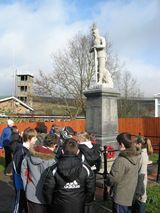 The opening ceremony was performed by Sir William Jenkins MP. To mark the special occasion an international water polo match between Wales and Ireland was played, swimming races were held and Roath Parks swimming club gave an ‘aquatic display’, including Miss Valerie Davies, a British Olympian! The Bandstand was refurbished in 2010 thanks to the Seven Sisters Community Council. These single-srorey terraces were built in 1871 to house the workers who sank the first successful pit at Seven Sisters. Built in 1910-1911 by J. Cook Rees of Neath. The stained glass windows depict an interesting range of styles and periods. The 1914-19 memorial is inscribed with 62 names from WWI, including Nurse L ‘Lizzie’ Thomas, who nursed in Macedonia. She died in 1921 and is buried in Crynant churchyard. There were 14 WWII names, until Pte David Vernon Edwards was added with a re-dedication in November 2002. 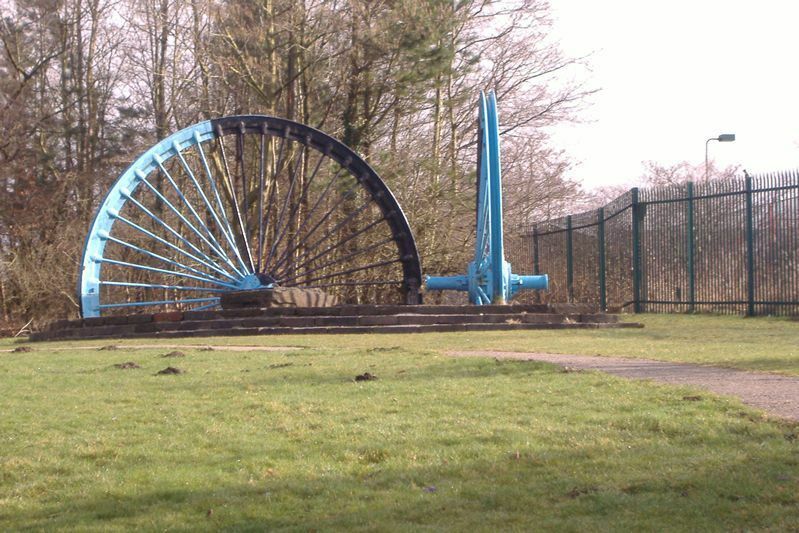 The pit head wheels, or sheaves, commemorate the nearby Seven Sisters colliery. Work began on 11 March 1872 when Miss Isabella Bevan, one of the seven sisters of mine owner Evan Evans Bevan, cut the first turf. The wheels are splayed to show the direction of the mid-summer and winter sunsets - a reminder that coal contains the sun’s energy, locked away below ground 300 million years ago. 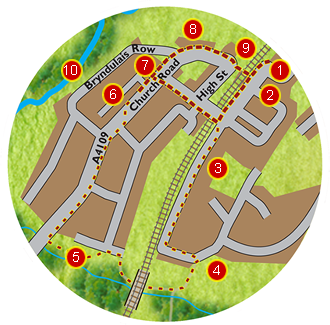 Five pairs of railway tracks led to this once-busy mine employing a thousand people. The adjacent railway bridge was built in 1911 to span the Neath & Brecon line. Colliers from Evans & Bevan’s pit could cross the line for a drink in Evans & Bevan’s ‘Seven Sisters Hotel’,thus paying coins back to their employers! 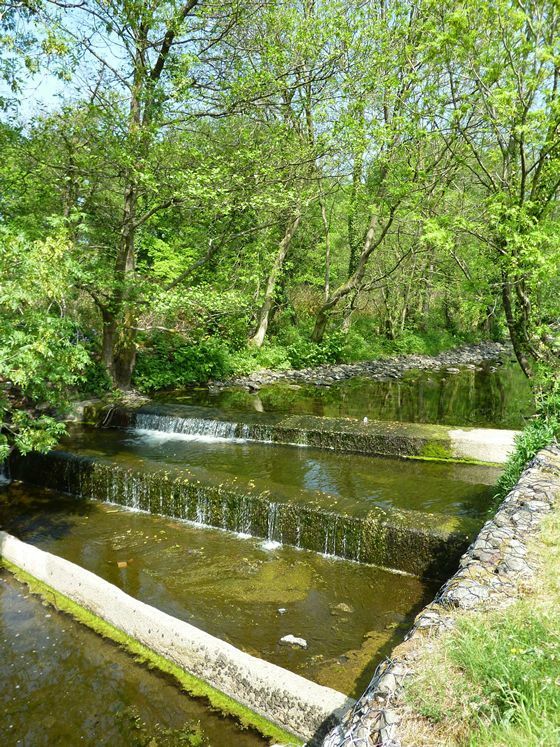 Source of the River Dulais is at Seven Sisters (Blaendulais). Work began on the first pit here in 1872. The mine owner, Evan Evans-Bevan, named the pit after his own sisters. The village grew up around the pit and took the same name. The first houses for the workers were the single storey terrace in Brick Row. More collieries opened as the demand for coal increased. Nant-y-Cafn or Dillwyn Colliery in 1884, Brynteg Colliery and brickworks 1885 and Henllan Colliery 1911. 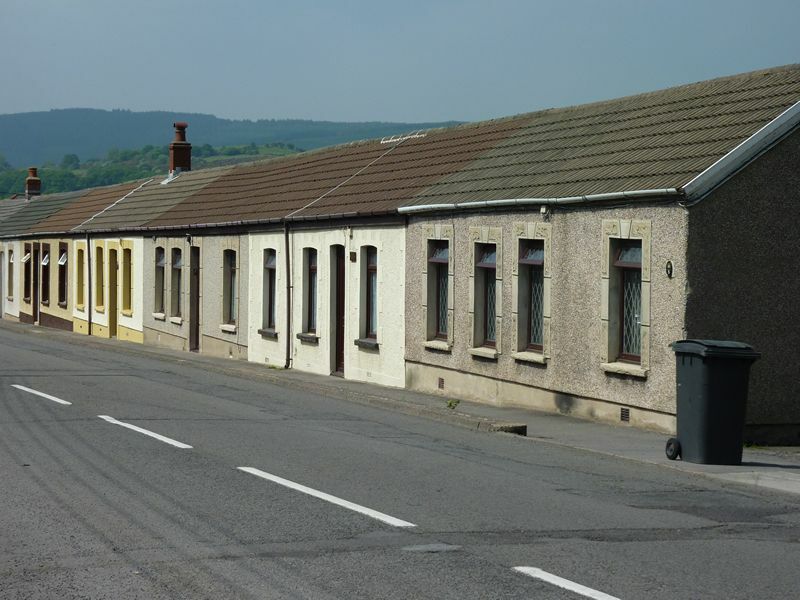 All the housing in the new village prior to the 1930�s was for coal miners, brick workers and railway employees. Please click the picture to below to open a slideshow of larger pictures from the Seven Sisters Village Trail.